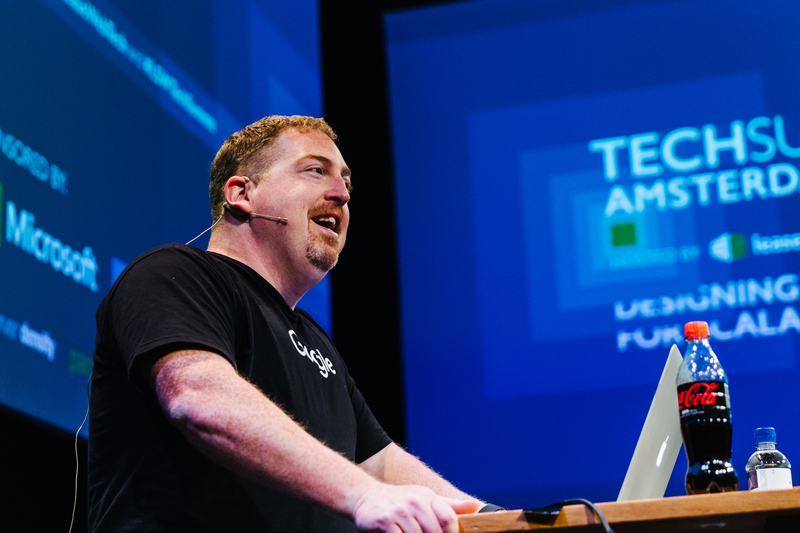 Terrence Ryan, a developer advocate at Google, gave a talk entitled Containing Chaos With Kubernetes at Leaseweb’s TechSummit in Amsterdam on June 2nd. We sat down to find out a little bit more about his thoughts on the topic. Interviewer: What issues are facing engineering departments who have just moved to containers? Terrence: One of the large issues I’ve seen is how you manage and keep track of them all. Containers are ephemeral, so there is the switching over to the dev practices that supports that. Having applications and architecture that is fault tolerant in the sense that these containers go away and that should be ok because the data is stored persistently somewhere else. All the app is doing is computing stuff and sending it back to the users. One of the big challenges we’ve seen and one that Kubernetes tends to solve is, “I have all of these containers, how do I keep track of them?” Those are the two problems we see come up. Kubernetes solves the management of the containers. I: What are some things people are trying that doesn’t work and how does Kubernetes address these issues in terms managing containers? T: Whenever you move to a new medium – there’s a lot of examples of this in mass media. Radio was big and then radio switched to television and the same people who were working in radio were now working in television. So then you had tv shows that were just like radio shows but we just added the one camera visual of the performers. Same thing with movies. I: So, trying to implement old technology in new mindset or framework? T: Yes. That is the problem; someone is trying to run on Kubernetes exactly like they ran VMs. You can do it but you’re not getting the big benefits. If you’re just doing a radio show you don’t get the benefit of a closeup. So in this case if you’re running a big monolithic application in Kubernetes you’re not getting the advantages of micro services which is very fast deployments, being able to change things without affecting the entire system, all those sorts of things. That, I think, is the big problem and that’s just technological growing pains. I: How long has Kubernetes been available and have you received feedback from users who have implemented it in production? T: Kubernetes as a project has been publicly available for two years. We’re still very much in the outreach stage but many users have said that it delivers as promised. I think it’s gotten very exciting in the last nine months or so. A lot of the feature sets that people have been asking for have been implemented and it’s really taken off. I: Going forward, do you think container management systems and containers themselves are going to be a more common way of consideration for building out infrastructure? T: I am of the firm belief that containers will be where VMs were five years ago. Everyone is doing them, it’s just the way to solve most sets of problems. Because that’s the only way you’re able to deal with that much scale is when you can eke out every single cycle from every single processor. I: Thanks for sitting down to talk with us, Terrence. Want to see the other talks at the TechSummit? You can check them out here.